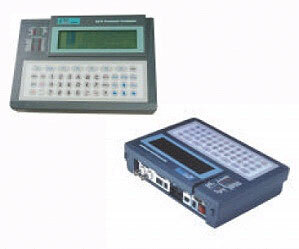 The BTM10–E1/T1 series analyzer is a compact, notebook sized E1/T1 PCM measuring instrument designed for field use in analysis and maintenance of E1 (2.048Mbps) or T1 (1.544Mbps) lines. The BTM10 performs framed, unframed, signaling analysis, drop and insert 8K voice, Nx64Kbps, or Nx56Kbps data into any time slot. The BTM10 series analyzer also provides a variety of E1 or T1 line statuses, transmission performance testing (BERT) and monitoring. On the E1 or T1 line, the BTM10 series product may be used as a generator or receiver.